Share the post "Free Consultation"
If you have questions about embolization or other fibroid treatments, we’re happy to answer them. Just fill out the form below. 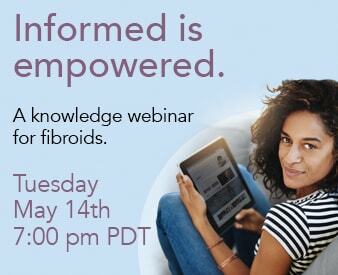 If you’re outside the US but willing to travel for treatment, please email info@fibroids.com. Call us toll-free at (800) 645-6095 and ask for the Patient Coordinator. We’re happy to assist you.